SEEKING…I used to think that prayer was asking the Lord for something that He desired to give me and I would receive it. As I continue growing in in my understanding I can see that sometimes asking needs another level...sometimes I need to put some legs with the words. 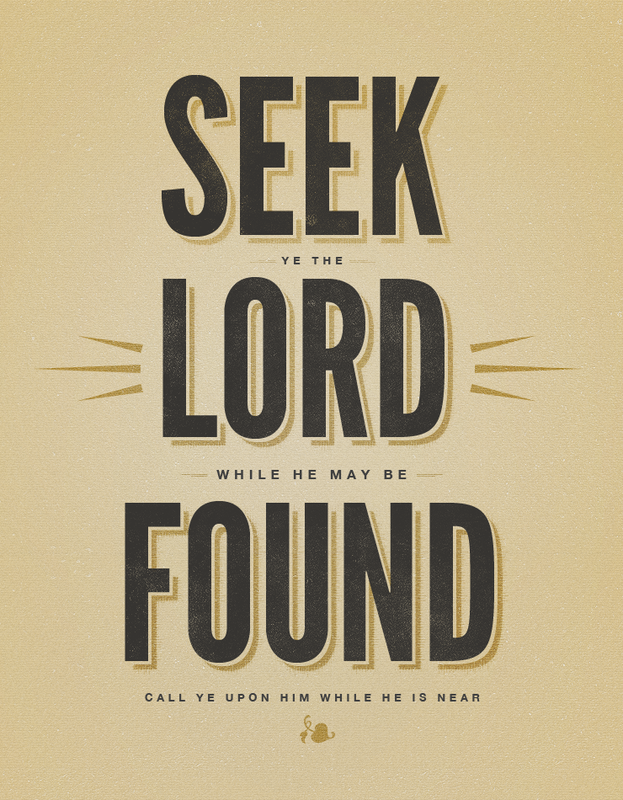 Jesus said ASK me and then He said SEEK me. Once you have you vocalized your petition, you can start to motorize it by moving in the direction of the answer. In Christ there is a 100% guarantee. JC said that those that would SEEK him would FIND him. There’s no frustration, no disappointment. It reminds me of my kids when they were little. They loved to play hide and seek and my two boys were a bit older than my daughter Jordan so they would have a little edge. When Jordan played she would always go hide, and wait only for a short time and then she would say, "hey I’m over here! "…she wanted to be found! I believe that is how the Lord is, Jesus wants to be FOUND in your life! The Bible says to "seek first" the kingdom of God and His righteousness and ALL the other things will come. Seek the Lord while he is in the vicinity…in the neighborhood. Call upon him while he is near. Seeking actually means to beat a path to and from…its going after that which you are so desperately needing. So maybe you have been asking and asking but nothing is moving in your life. Perhaps things will start moving when you do!